As the craft beer industry grows at a fast rate, small, intimate breweries are popping up all over the country with North Dakota being no exception. Breweries not only create interesting and unusual brews but also give beer-lovers and ale aficionados the chance to sample and taste unique and imaginative flavor combinations. Here are some of North Dakota’s hottest breweries to visit. 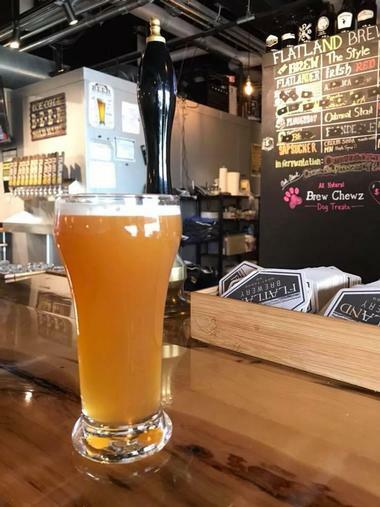 Located on E Main Street in Mandan, Bird Dog Brewing is a new brewery that produces several craft beers which are available in the tap room to taste, as well as in restaurants around the state. Signature drinks include the Belgian Blonde, Bourbon Barrel Porter, Bird Dog IPA, and Dog Tooth Brown Ale. Bird Dog Brewing also hosts a variety of events throughout the year, including Brew at the Zoo, Wine Down Wednesdays, and Brewer’s Night. Bismarck Brewing began as a hobby for two stepbrothers and grew into a passion leading both to become certified brewmasters. The business moved from the garage to a brewery in Bismarck with the goal of making classic beer using locally sourced ingredients and a 465-gallon Newlands Brewing System. Signature beers include Ghost in the Machine Oatmeal Stout, Liquid Lunch Scotch Ale / Wee Heavy, Rye-it Punch Rye IPA, Nochmal Maibock, Serendipity Saison With Lemon Saison / Farmhouse Ale, Dazy Double Dry Hop IPA, and Lo-Fire Pils Bohemian Pilsner. Bismarck Brewing beers are available in the taproom, at Ale Works, and the best bars and restaurants in the Bismarck/Mandan area. © Buffalo Commons Brewing Co. 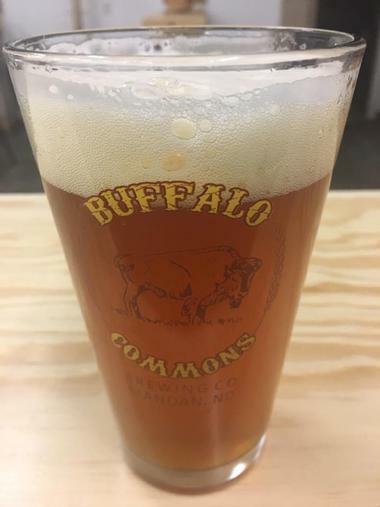 Established in 2012, Buffalo Commons Brewing Co. was established in 2012 with the first beer brewed and produced - The Salem Sue Stout in 2013. Located on Memorial Highway in Mandan, the brewery offers tap room tours, beer tastings, growler sales, pint sales, and a variety of company-related merchandise. Buffalo Commons Brewing Co. signature beers and brews include Never Say Never IPA, Salem Sue Stout, Northern Border Pale Ale, BC Brown Ale, Honey Blonde Ale, and Rusty’s Red Ale, all of which are available at the brewery, and various bars, restaurants, and specific liquor stores around North Dakota. Drekker Brewing Company is a locally owned brewery in Fargo that has quickly made a name for itself on the craft beer scene with a variety of Viking-inspired signature brews like the Techno Viking (Berliner Weisse), The Ryesistance (rye saison), and Igor’s Horn (black IPA). The brewery offers complimentary grains-to-glass tours of the facility along with tastings, which takes visitors through the entire brewing process from grains to glass. One of the owners and brewers host tours and take an up-close look at the tanks, finishing with a guided tasting session. 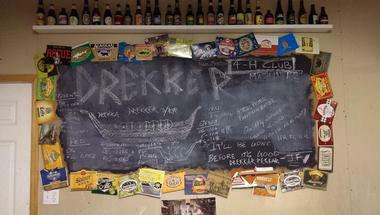 Tours are scheduled for Noon every Saturday and include a tasting session of four beers. 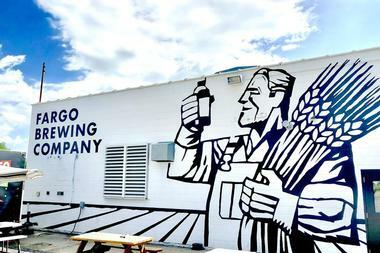 Founded in 2013 as the brainchild of four local beer lovers, Fargo Brewing Company is a locally owned brewery that aims to foster a culture of craft beyond freshly brewed beer. Located in downtown Fargo, the brewery’s inaugural brew was the Wood Chipper, an Indian pale ale that has fast become a local favorite. 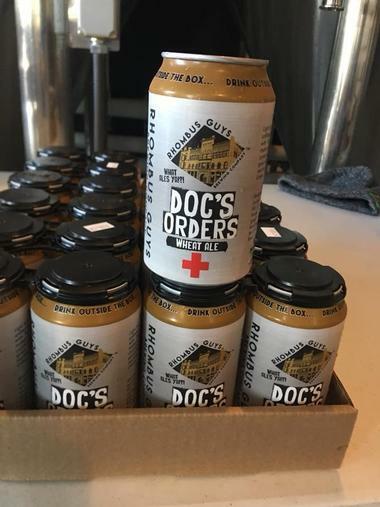 Other signature brews of the Fargo Brewing Company include the Iron Horse (a pale ale), Stone’s Throw (a Scottish ale), and the Sodbuster (porter), and are available from all over the F-M metro area. Visitors can enjoy guided tours in Fargo Brewing’s taproom every Saturday at 12:00 pm and reservations are not required. The Flatland Brewery was the first brewhouse and taproom in West Fargo and produces a diverse selection of small-batch craft beers and scratch-made sodas. The brewery’s focus is on handcrafted and creative seasonal and specialty offerings, as well as stylistic mainstays, such as the Spuds O’Murphy’s (a dry stout), the Pumpkin Porter (made from fresh, locally-grown pumpkin), and the Bizzaro Red (an Irish-style red ale). Flatland Brewery has a taproom with 12 standard taps and two beer engines, and the brewery sells a variety of craft and taps beer and soda by the glass in pints, half pints, and quarter-pints, as well as flights, and growlers. Granite City Food & Brewery is an award-winning restaurant with an on-site brewery that is passionate about delivering top-notch craft brews and freshly prepared innovative cuisine. The on-site brewery produces a range of acclaimed handcrafted micro-brews, including The Batch 1000 (Double IPA), The Duke (Pale Ale), The Northern (American Style Light Lager), The Bennie (Bock), and The Stout, as well as seasonal brews, which are featured throughout the year. The restaurant features an open kitchen and serves made-from-scratch cuisine, including creative signature entrées, flatbreads and more. 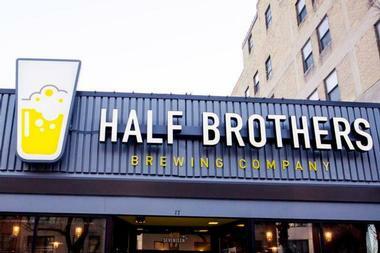 Half Brothers Brewing Company is located in Grand Forks, North Dakota and is focused on bringing quality craft brews and beers to the local community. The sibling-owned company brews acclaimed craft beer and delicious cuisine for patrons to enjoy, including Grand Forks Classic Golden Ale, Morning Squeeze IPA - New England, Bully Brew Coffee Brown Ale, Brewer’s Handle – French Toast Sour, Fresh-PA IPA – New England, IPA IPA – American, Brewer’s Handle – Sour Cherry IPA - India Pale Ale, Brewer’s Handle – Green Tea IPA - India Pale Ale, Mystery Fruit Sour – Pump! Sour, and Bully Brew Coffee Brown (Nitro) Brown Ale. 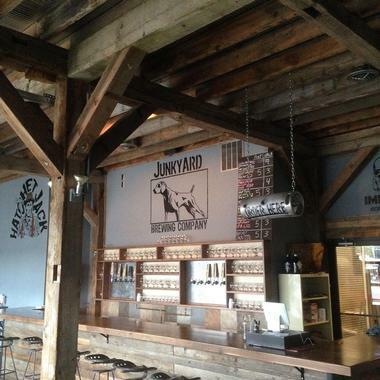 Junkyard Brewing Company is a small craft brewery in Moorhead specializing in new and experimental beers. 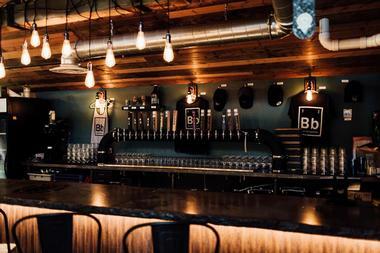 The brewery features a taproom with 11 taps of constantly rotating experimental beer styles that visitors can sample and purchase, as well as off-sale crowlers. 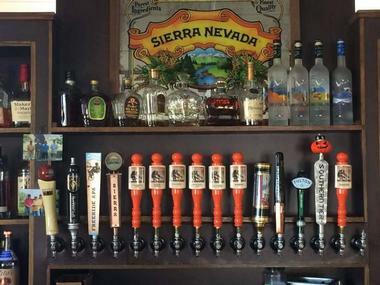 The popular locally-owned brewery also hosts live music every night of the week in the taproom, as well as a variety of special events throughout the year and specializes in beer and feature area food trucks every evening from May through October. © Laughing Sun Brewing Co.
Based in the historic Laskin Building in downtown Bismarck, the Laughing Sun Brewing Co. has been brewing and serving craft brews and ales since 2012. The brewhouse and pub span 1500 square feet, a quarter of which is devoted to the brewhouse, which is set behind glass and can be viewed when entering the building. The pub features a custom-made concrete bar can seat up to 65 people for tastings and special events. There is a stage at the back of the room where local artists showcase original material each Wednesday and Saturday and the south wall of the pub displays the work of different local artists every three months. Signature beers include the Feast Like a Sultan IPA and the Whippin’ Post Pale Ale. © Prairie Brothers Brewing Co.
Prairie Brothers Brewing Co. focuses on time-honored brewing traditions and sharing the love of beer with the community, family, and friends. The brewhouse is the beating heart of the brewery and features a 10bbl, steam heated hot-side house and a cold house that holds six brite tanks for serving the freshest beer at the precise temperature. Signature brews include Haze It IPA, Blender Bender Prairie Red Ale, Radegast Winter Amber, Duck Slayer Session IPA, Dreamer Cream Ale, Steer Head Pale Ale, Padfoot Black IPA, Coco Boingo Chocolate Milk Stout, Melting Pot IPA, Prairie Brothers Kettle Sour, Brothers Kettle Sour, and Law Dog Pre-Prohibition. Prairie Brothers Brewing Co. hosts a variety of events throughout the year, including Music Video Bingo and Tuesday Trivia evenings. 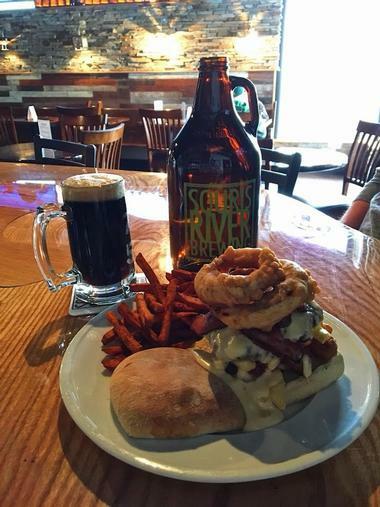 Souris River Brewing is Minot’s first brewery with a focus on exceptional beer and made-from-scratch food. 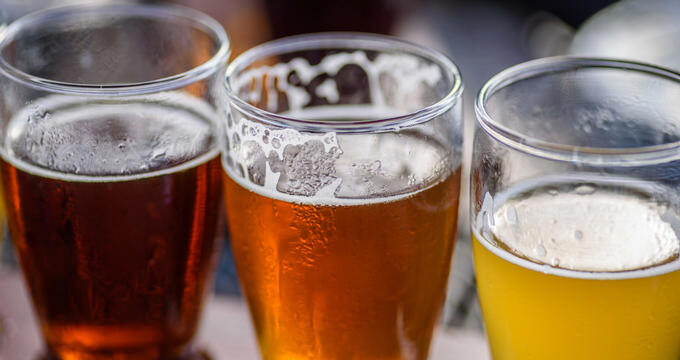 The brewery produces over a dozen beers with signature brews including the Bakken Brown Ale (a nod to the area’s oil fields), the Wicked River Weizenbock (a wheat beer), and the Trainwreck Tripel IPA (boasting the highest percentage of alcohol on the menu). 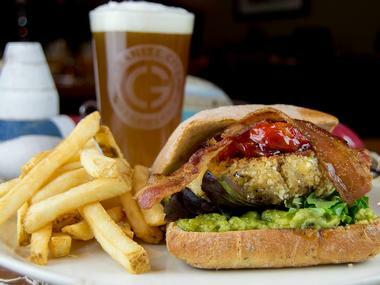 A casual restaurant serves ale flights and hearty pub-grub style fare using locally sourced ingredients. 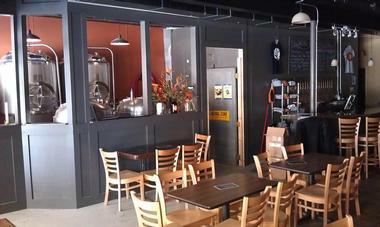 The Souris River Brewing tap room offers tours, tastings and sells a variety of company-related merchandise. Stonehome Brewing Company is a North Dakota community-immersed pub that was established in 2016 by two local Midwestern families. Founded on the slogan, ‘Hopped up on Homegrown,’ the microbrewery focuses on creating approachable, clean yet innovative and high-quality craft beer with signature beers such as Heartless Blonde Ale, Dacotah Wheat Ale, Traust Pub-Style Stout, and Maah Daah Hey Red Rye IPA, to name but a few. 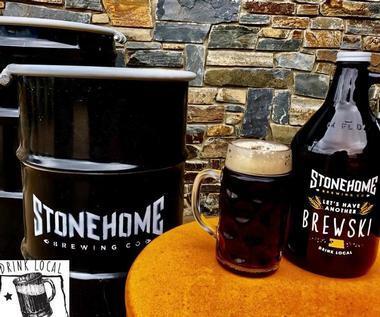 Stonehome Brewing Company hosts a variety of events throughout the year, including tastings, launches, and other private events. Buffalo Commons Brewing Co., Photo: Buffalo Commons Brewing Co. 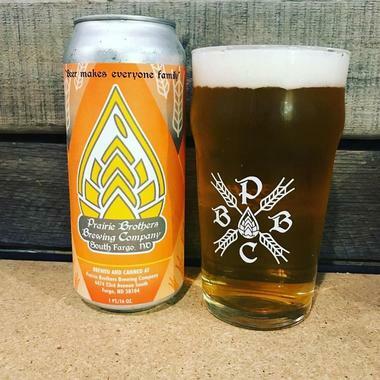 Laughing Sun Brewing Co., Photo: Laughing Sun Brewing Co.
Prairie Brothers Brewing Co., Photo: Prairie Brothers Brewing Co.